If someone cannot or will not use wine for cooking, what would be a good substitute? Question applies to both red and white wine. Beef/Chicken/Veggie stock would do well. If making dressing (wine vinegar) then some citrus based juice. A great list of substitutions for cooking with various alcoholic ingredients may be found here. Since we don't drink alcohol at home, I don't ever have real wine at home. I do keep a bottle of vermouth (Martini Rosso specifically) to use a substitute for red wine sometimes. Use about 1/3 of the amount of wine you'd use. I also use Balsamic vinegar works well if you're making a thick sauce or casserole. 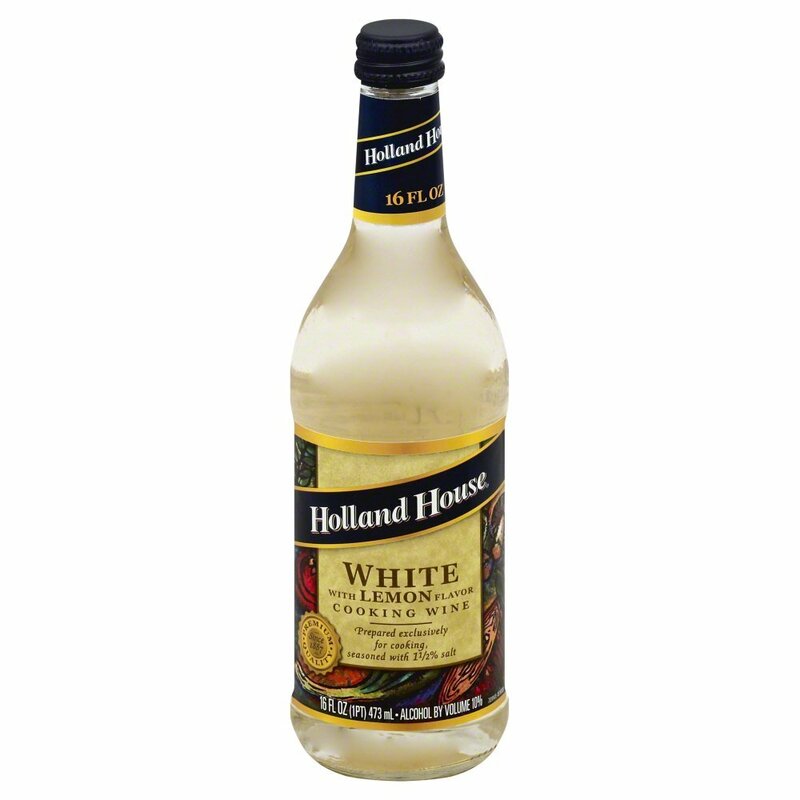 As for white wines, I don't cook things that require it often. When I do I'll usually use a combination of Mirin (japanese rice thingy) and some sugar. You can replace the moisture provided by wine with just about any flavorful liquid, but you won't replicate the flavor. Vinegars will be the closest, but they are much more acidic. Stocks and broths can help boost flavor, but they will bring with them a lot of sodium. The list goes on, as shown by the other contributors here. The main thing to be mindful of is what these substitutions bring with them (acidity, salt, sweetness, etc) and compensate for it by adding or subtracting other ingredients. Add a bit of sugar to offset the acidity of vinegar or backoff on the salt when adding stock. Substitutions are an advanced skill, sometimes even a black art, and this is why. Apple juice can replace small quantities of white wine quite well. Although it will definitely taste cider-y if you use lots. Depending on the recipe, verjuice (or verjus), which is widely available in Mediterranean shops, can work very nicely. In some applications, it may be necessary to dilute, as it's basically very tart grape juice. I'm in the same position (no alcohol at home), but I'm kind of a foodie. I've never found any luck with any of the ingredients listed above (I still need to try the Balsamic Vinegar trick). Not only is the flavor just not the same, most of the time it's just wrong. After searching for many years, I stumbled across Meier's Sparkling Grape Juice. They seem to work well for me for many recipes. They have a Chablis, Spumante, and a Burgundy. I'm sure there are still differences, but these are far superior to things like vegetable stock, ginger ale, vinegar, and plain old red/white grape juice. Some supermarkets stock it, or you can order it online. I'm still looking for a dry red wine substitute, as well as Marsala, but these have really helped and I buy them by the case now. I use Regina Red Wine Vinegar or the Regina White Wine Vinegar and Maruchan Seasoned Rice Vinegar. Even though I use red wine vinegar, I don't think it qualifies as "wine". There are also other brands of red and white wine vinegars, you can use in the vinegar section. For white wine, white vermouth works quite well, particularly in things like risotto. Keeps well in the fridge for weeks or months after opening. Dry vermouth is a better substitute than sweet IMO. Sweet will work but it changes the flavour somewhat. (Since I just posted this on a similar question) The similar question was asked for a substitute because the OP was not savvy about wine, not because they objected to alcohol. Instead of buying wine in a tall, dark glass wine bottle, you can also buy a small bottle of cooking wine that will keep for a very long time. I use this brand, and have one red and one white in my cupboard. I usually have a good wine bottle of each in the fridge for this purpose too. I work in a group home and alcohol is not allowed on the property at all. A beef stroganoff recipe that I wanted to try called for some red wine. I substituted some cherry juice from canned cherries with some apple cider vinegar. It turned out amazing!!!!! After a long and frustrating search for wine substitutes, I finally got the guts to create "wine bouillon" and it's producing good results in the kitchen. 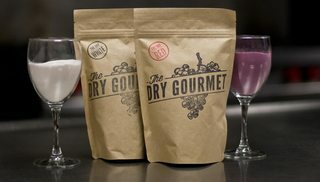 Currently, we're only selling on our website (www.drygourmet.com). Initial results have been super, with many home cooks creating their favorite dishes with all the flavor of wine. Please drop me a line if I can answer any questions about this wine substitute.